How did the Japanese government treat the injured soldiers who were classified as disabled veterans during and after the war? 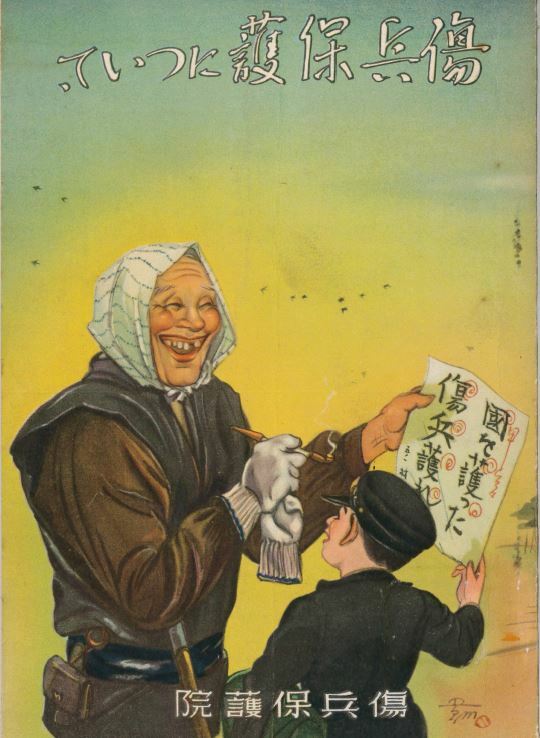 Though the Japanese government did almost nothing for people with disabilities before the war, they treated those who were injured at the front very carefully and with warm hospitality. For example, disabled veterans could get medical treatments freely, and technical training for new jobs at schools. The goverment even established a marriage agency for them. What reflections can be gained from exaiming. the kind treatment and care these soldiers recieved in terms of the progressing war? We edited and reprinted these materials consisting mainly of disabled veterans’ literature. This collection contains reprints of about 65 documents and books about disabled veterans during the Asia-Pacific war. It includes the official legal ordinances, the pumphlets of the rehabilitation facilities, the ‘beautiful stories’ about the disabled veterans themselves and their families, and collections of poems and tanka. During this total war, the policies for disabled veterans were very important for home front and mobilization policies. 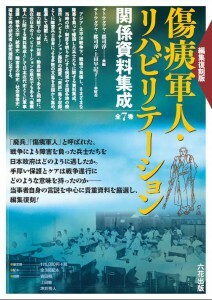 This collection is important not only for researchers of Japanese modern history but also for those who want to know about the foundation of the Japanese rehabilitation after the war.